This hotel offers comfort and a welcoming atmosphere within cosy surroundings. 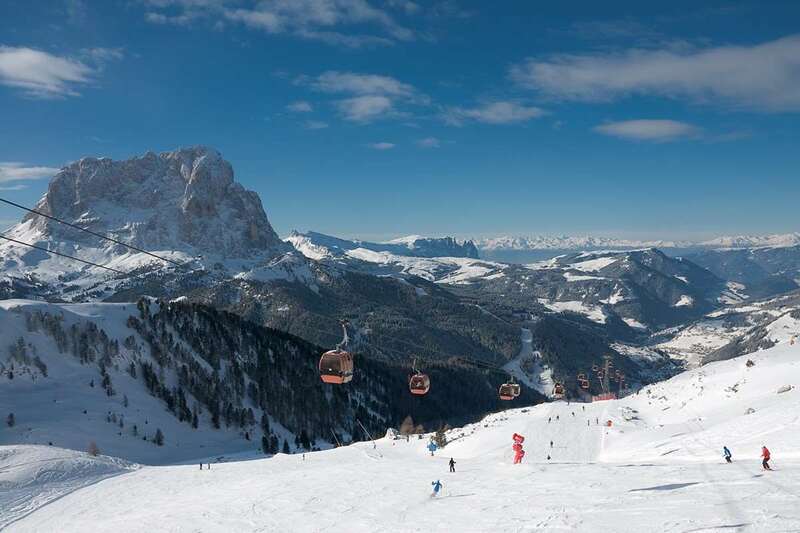 Nestled in the heart of Selva, the Hotel Stella has great access to the Costabella ski runs and lifts as well as being just 300m from the ski school meeting point. The hotel's bar is also a popular aprés ski destination making this a choice property for your wintersports getaway. The Hotel Stella is nestled in the heart of Selva, close to the main gondola and shops and offers a comfortable and welcoming atmosphere. The popular après-ski bar is a great place to head for after a day on the mountain, and for relaxation why not try the brand new wellness centre. Rooms (2-3 people): Comfortable and spacious rooms with Austrian twin beds and a sofa bed have satellite TV, mini-safe and bathroom with bath or shower & wc. Single rooms: available on request at a supplement. Buffet breakfast and three course evening meal. With choice, and a sweet & savoury buffet. Christmas & New Year meals included. Just come back from a great week at Selva. Lovely views, so much skiing you can visit a different place every day! Hotel Stella is a great base for skiing. The staff are lovely and very accommodating, nothing is too much trouble. The hotel is right next to the Costabella chair lift so nearly doorstep skiing. Don't go there as I want it all for myself!! We have just come back fromm the Stella and we have had a great time there. The hotel was fantastic and the people were extremely helpful and they couldn't do enough for you. The food was brilliant and there was a choice of food every night. The Rooms are large and you are also right next to the lifts so you don't have far to walk in the morning. We shall definitely be going back there for Xmas 2012.